Want to join one of the Kentucky electric cooperatives, a utility construction company or other electricity provider in Kentucky? The new lineworker program at Madisonville Community College is the first in Kentucky to offer a for-credit course in that field. After eight weeks of class, graduates can start out making $30,000-$45,000, according to Mike Davenport, workforce solutions director for the college. 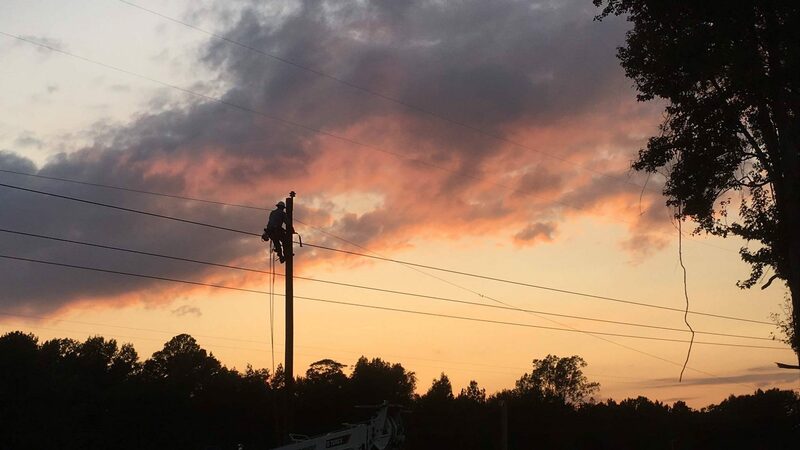 Lineworkers have the potential to earn $75,000 annually within three years and as much as six figures if they are willing to travel and work overtime. Students in the first two classes earned utility technician I and II certificates, Davenport says. The classes are also part of an associate degree program. “The 12 hours they’ve earned count toward an advanced integrated technology degree should any of the graduates decide to return to college,” he says. He says demand for lineworkers is high, and it’s a challenge to fill the openings. Demand for the lineworker class is also high—March and June classes are full, with a waiting list for September. For more information, contact Mike Davenport at (270) 824-8661.